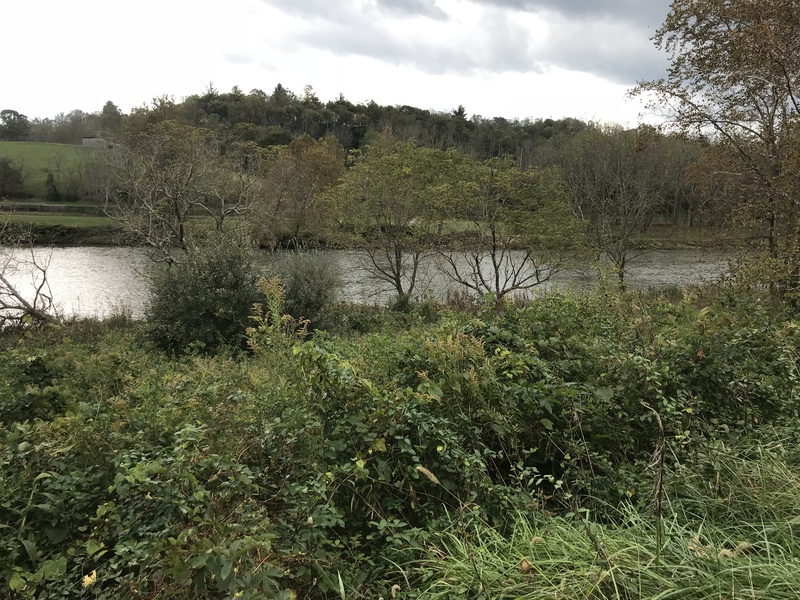 Cindi Doty Price and Park Doty envision a beautiful park along the New River, accessible to all. To realize this vision, they recently donated 30 acres of land along the river in Grayson County to the New River Land Trust. The Land Trust will hold the property and transfer it to the Department of Game and Inland Fisheries (DGIF) by the end of 2019. 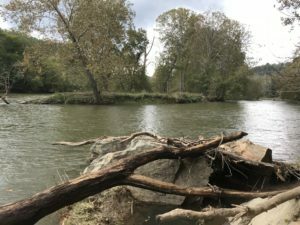 “Donating a mile and a half of New River frontage and a 6-acre island is our way of acknowledging the importance of preserving and protecting a beautiful natural resource for generations to come. 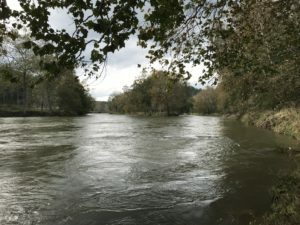 In doing so, a unique and easily accessible place is available for anyone, rich or poor, local or visitor, to come out and enjoy the river – forever!” Cindi and Park said in an email. 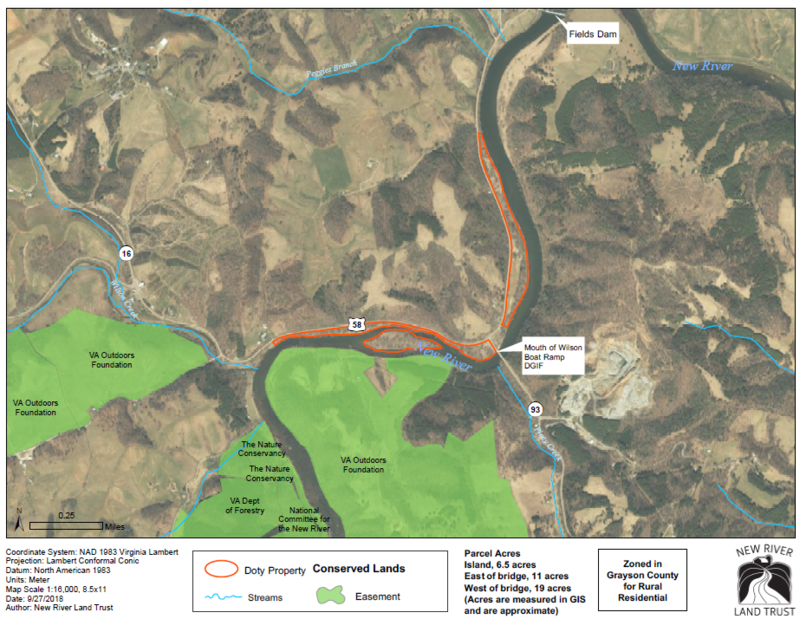 The property is adjacent to over 500 acres of existing conserved land, including property owned by The Nature Conservancy and easements held by the Department of Forestry, Virginia Outdoors Foundation, and The New River Conservancy. In addition to providing public access to recreation on the New River, conservation of this land helps protect water quality and the scenic character of the area.